In just a few years, obesity has become a serious public health issue that is the source of a wide range of complications, leading to over-mortality. It is an issue that affects increasingly young people. From a medical point of view, obesity is defined as “an excess of weight through an increase in the mass of adipose tissue”. - Multiplying the number of fat cells. It then becomes difficult to eliminate the excess cells. In addition, measuring the umbilical circumference, more commonly called the waist circumference, makes it possible to identify excess fat at the level of the stomach. 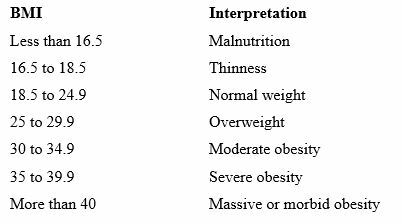 When this measurement is more than 88 cm in women (excluding during pregnancy) or 102 cm in men, it is considered that there is abdominal obesity. Finally, gynecoid obesity refers to excess fat situated essentially at the level of the thighs, as is generally the case in women (commonly called “saddlebags”). Android obesity is when the fat deposits are located principally at the level of the stomach (abdominal obesity). You can find more information and others to talk to at the Forum for Obesity. Article written under the supervision of Dr Marcel ICHOU, a general practitioner in Paris.